US photographic supplier Fotodiox has introduced an unusual line of LED panels, the Factor Radius series, with a convex shape for a wider angle of illumination. According to the manufacturer, the curved shape and wide spread are ‘ideal for permanent studio installations, greenscreen work, rapid-fire setups for news gathering, location-based multi-cam shooting, and more’. The devices have bi-colour and dimming control, manually and via DMX. They can be powered by battery or with an AC adapter. 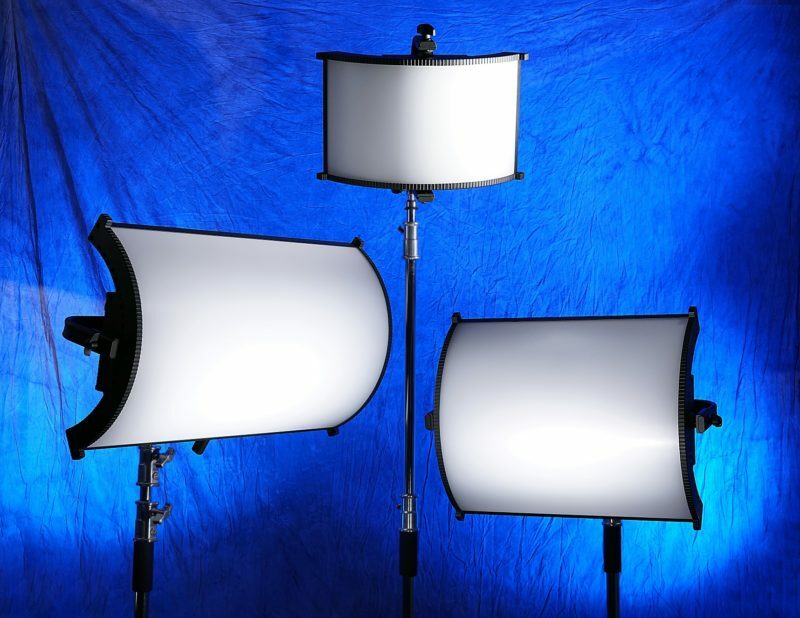 The new lights were shown off at the NAB trade fair last month. Pricing and a release date have not yet been announced.